Connection: A1000 front memory slot. A memory expansion which plugs into the front memory slot of the A1000. 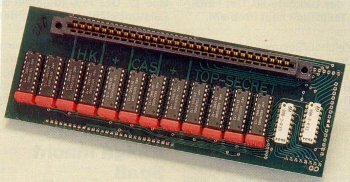 It expands the A1000 to 512K Chip and 512K "ranger-mem" which is similar to fast RAM. An additional cover was also supplied with this unit that was either plexiglass or Amiga coloured plastic because the original commodore face plate does not fit when this unit is installed. 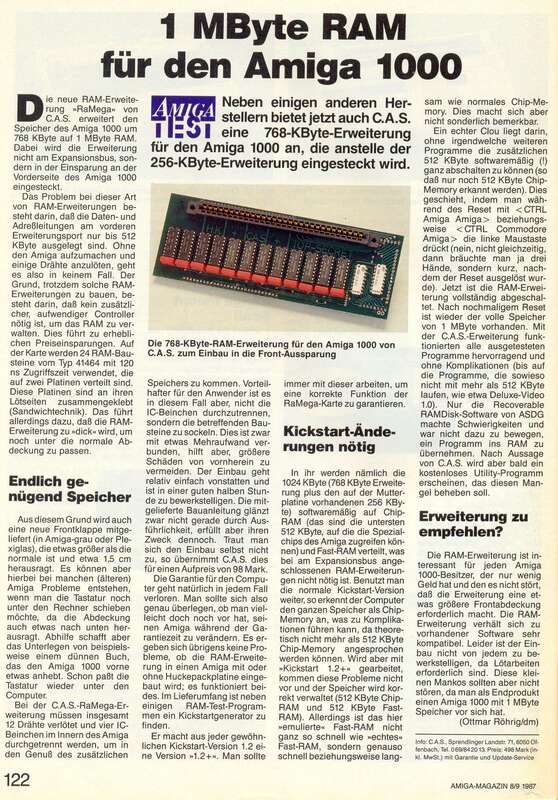 It also came with a Kickstart generator which patched Kickstart 1.2 to Ks 1.2+ as this was necessary to have the 512K of "ranger-mem". The ranger memory can be switched off by pressing the left mouse button after a reset. Some soldering may be required to use this unit. Page contributors: Marcus Neervoort, Rainer Schreurs.